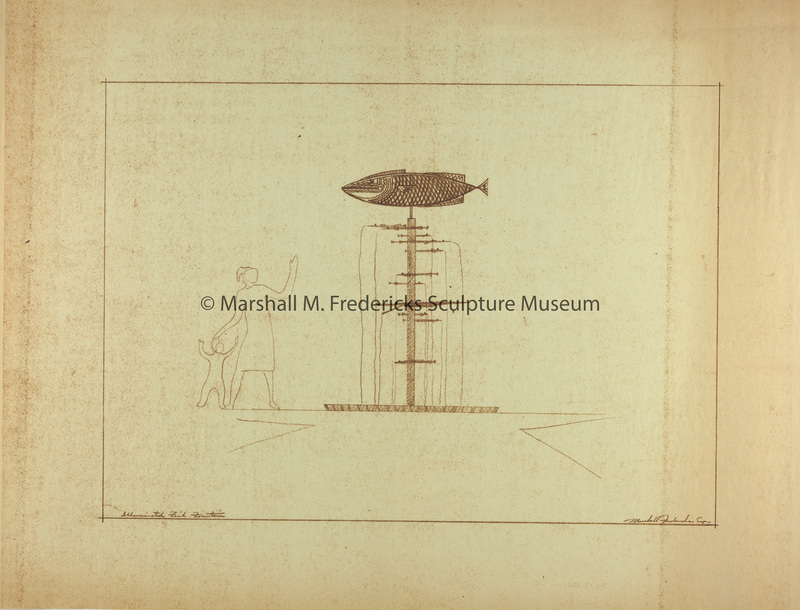 Sepia print of study for "Fabulous Fish Fountain". Unrealized. Fredericks, Marshall M., 1908-1998, “Sepia print of study for Illuminated Fish Fountain,” Marshall M. Fredericks Sculpture Museum, accessed April 21, 2019, http://omeka.svsu.edu/items/show/6665.